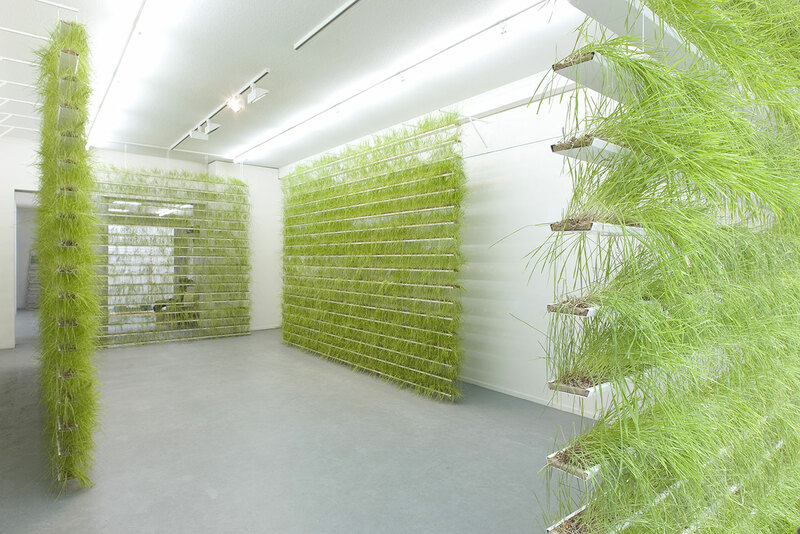 Zeger Reyers (1966) is known for his installations in which he confronts the artificial, man-made world with nature. For instance, he made fungi grow from furniture and sank chairs down into the river Oosterschelde until they were overgrown with mussels. 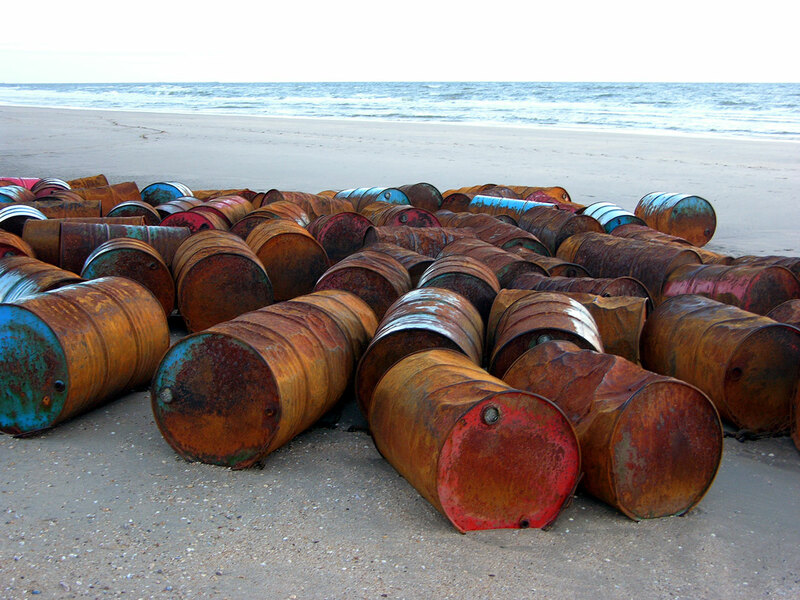 In the work Drum Kit (2004) he coupled up a hundred empty oil drums and placed them in the sea. 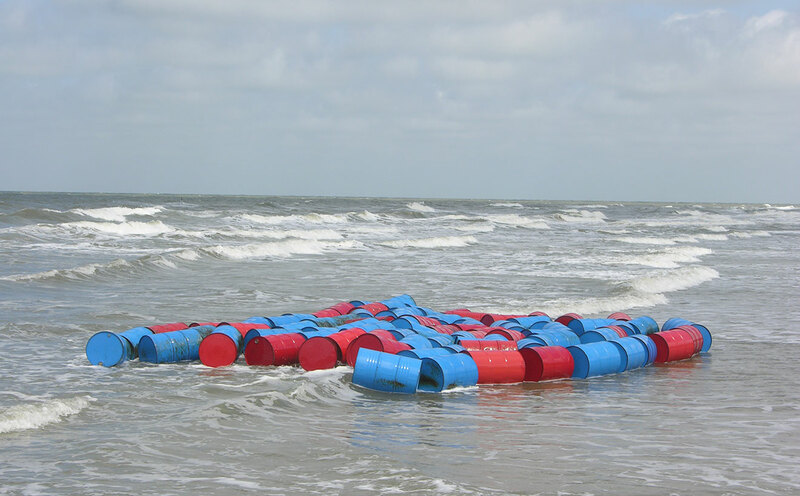 The tangle of oil drums thus became an instrument played on by the sea, producing muffled, banging sounds. At the same time it showed the enormous power of the sea: after seven weeks the drums had been dented and rusted almost beyond recognition. It is not Zeger Reyers’s aim to pass moral judgement on e.g. the harmful influence of man on the environment. In his installations he makes the marvels and strength of nature visible in an intensified way; at the same time the visitor becomes strongly aware of the vulnerability of the man-made environment. Characteristic is Zeger Reyers’s intelligent and resourceful use of material, taking you by surprise and making you aware of the relativity of our certainties. He surprises the visitor and forces him to think, to reassess, while at the same time giving him the possibility to look at things once again with an open mind. 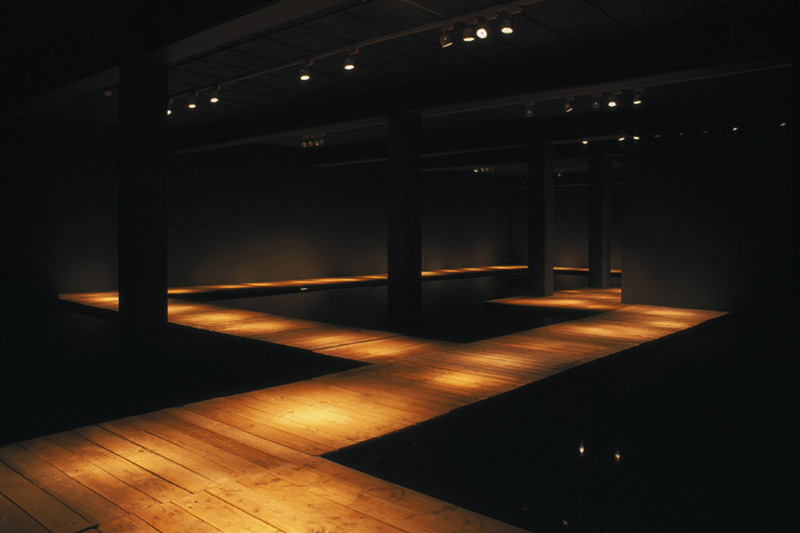 A good example is his installation Aqua Boogie I (2004), for which he had the basement of the GEM (Museum of Contemporary Art, The Hague) flooded and set out black leather carps in the water. 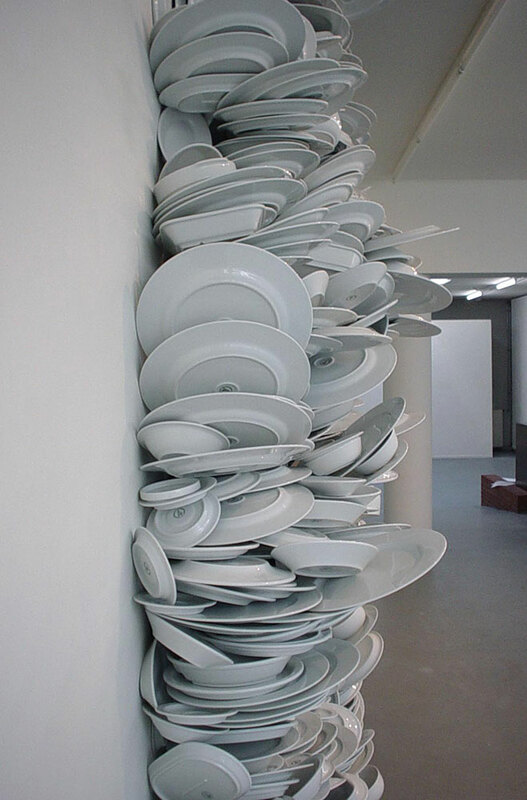 Also well-known are his works with MOSA porcelain which he first used in Good Intentions (1999): a long table overloaded with porcelain plates, cups and saucers, which was shown on the 8th Biennale of Havana in 2003. 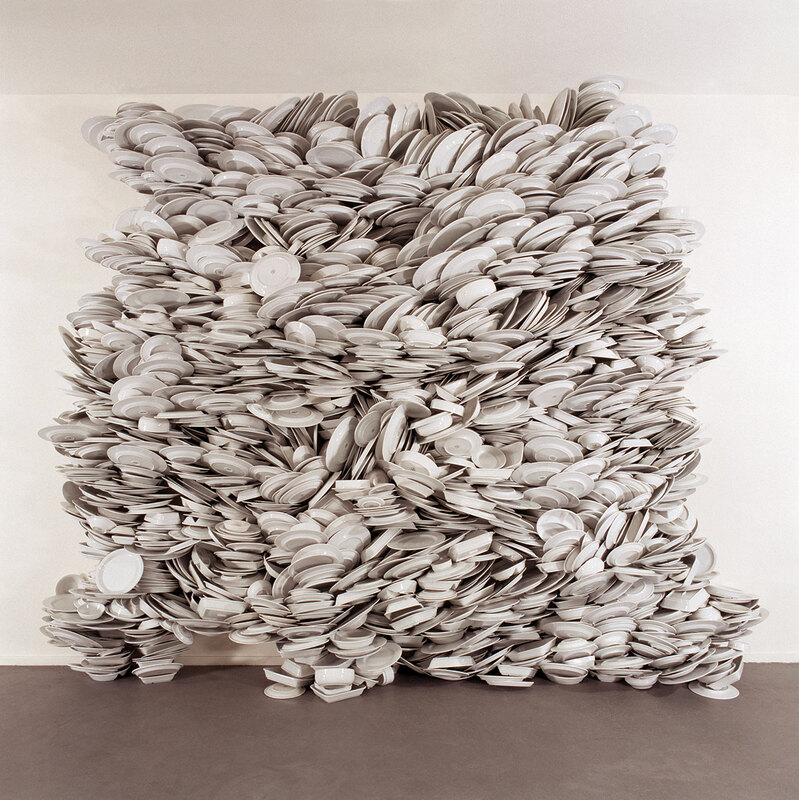 This work is followed up by Hard Water (2004), where the porcelain plates are piled up like a cascade from floor to ceiling. 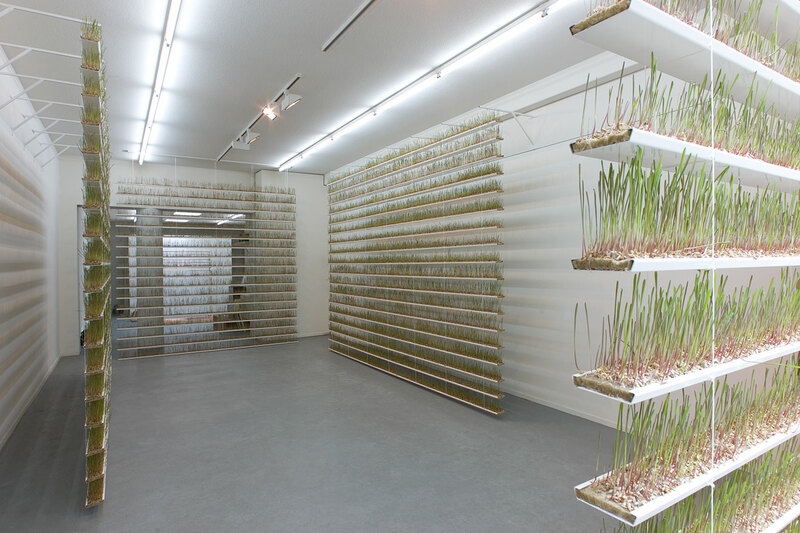 In 2007 Zeger Reyers received the Ouborg Award for his oeuvre. His famous Rotating Kitchen was commissioned for the exhibition Eating the Universe, dedicated to food in art, taking Daniel Spoerri’s table pieces (Tableaux- pièges) as a starting point. It consists of a life size fully equipped kitchen in which a cook first prepares food, after leaving the kitchen it slowly starts rotating around its own axis thus tossing and turning all the pots, pans and food in it. The work was premiered at the Kunsthalle Düsseldorf in 2009 and was on show at the Kunstmuseum Stuttgart till January 9th 2010. A video was made from the premiere in Düsseldorf, titled Rotating Kitchen issued in an edition of 7. In 2011 Zeger Reyers built the installation Pavillion at the Renaat Braempavillion located in the park of sculpture museum Middelheim in Antwerp, Belgium. 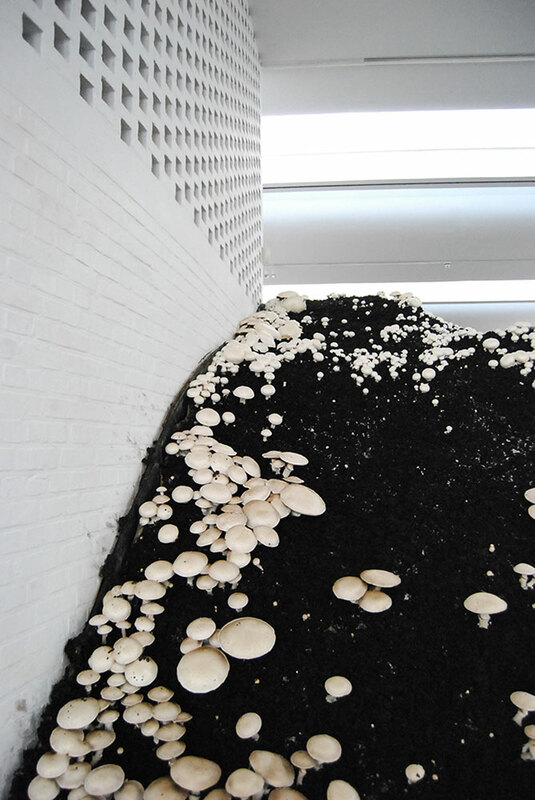 In the pavillion with its typical organic and flowing forms Zeger Reyers constructed a sloping floor which was covered with earth containing spores of mushrooms. After a some days the mushrooms started growing as white beads on a pitch black background. In 2013 Zeger Reyers produced the work A Glance Through the Shades for the exhibition Yes Naturally at the Gemeentemuseum Den Haag. Here for the first time he used hallucinogenic mushrooms that grew on blinds in front of a window. 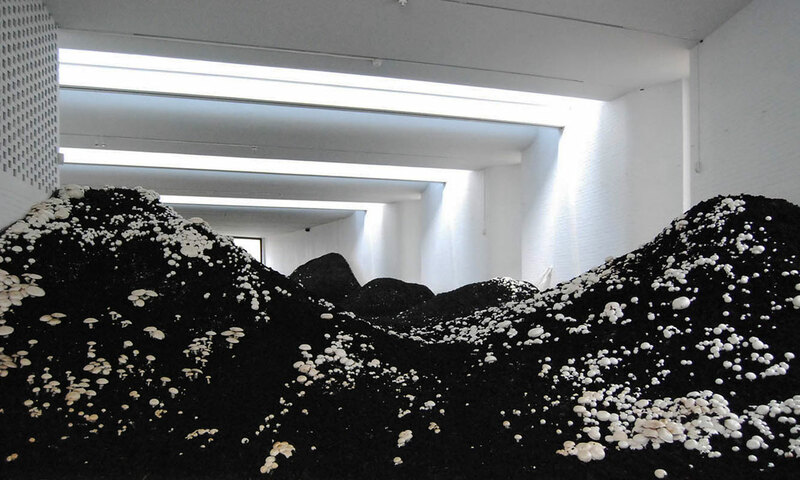 Later that year he presented a turntable prepared with oyster mushrooms in the exhition Flowers and Mushrooms at the Museum der Moderne, Salzburg. Recently Zeger Reyers experimented with ceramics during a work period at the European Ceramic Work Centre at Oirschot, The Netherlands. Here he produced almost surreal sculptures of hybrid monkeys containing ceramic mushrooms, that were purchased for the ceramics collection of Museum Het Princessehof/Stedelijk Museum Den Bosch.